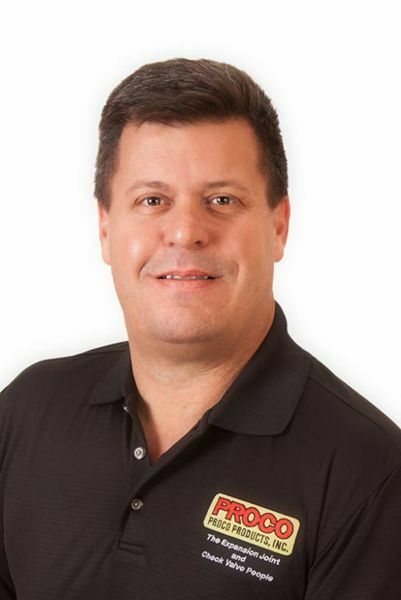 Rob Coffee has been the president of the Fluid Sealing Association (FSA) for nearly a year, as the vice president of sales and marketing for Proco Products, Inc., in Stockton, Calif., assumed the role succeeding Phil Mahoney. Coffee has more than 30 years of experience in the industry and has been with Proco Products since 1994. He has been involved with the FSA since 2010. Coffee’s industry experience dates back to 1980, when he worked part-time after school at Pathway Bellows. He answered some questions from Pumps & Systems on the state of the seal industry and his role with the FSA. Check out the FSA's website by clicking here. “Our focus in my term is to show the Fluid Sealing Association with all the divisions integral to fluid sealing. In the past, we’ve operated as separate divisions, but now we have to make that a systems approach to show industry that there is a complete solution and the Fluid Sealing Association is your place to find answers. Fluid sealing is certainly important and you need expertise for gaskets, packets, mechanical seals and expansion points. Our goal is to show we’re going to be beneficial to the environment because seals are very important for not spilling fluids and on the cost-benefit side, we’re keeping the energy inside the piping system so operationally, you have a better system. “Good for the environment and good for the pocketbook is going to be our mantra and taking the fluid sealing as a systems approach will be an important approach so end users just don’t think of just a gasket or a mechanical seal for my pump application. Fluid sealing is important and the FSA is showing me the whole system. That’s my charter in the next two years as president, to bring that to life. What do you plan to implement in 2019? “The mechanical seal division under the guidance of Rob Phillips of Flowserve created what we call the Knowledge Base, which currently houses information on mechanical seals that will be meaningful to end users or engineers looking for specific information on mechanical seals. The repository for expansion joints is currently being worked on to upload all the materials from our technical handbook and the gasket & packings division are embarking on formatting and uploading their content to this platform. The Fluid Sealing Association has published articles which are now housed on the Knowledge Base which is great content written by our membership. Essentially finishing the knowledge base is what we’re focused on currently to get useful materials to industry broken down in a way so that if people are looking for a specific need for whatever they’re looking for, that they’ll be able to use the knowledge base to grab the materials for whatever project is important. Right now, that’s the key focus, to finish their projects so that the knowledge base is out there for the industry to access. The knowledge base is a product that folks looking for information will have to sign up for but it’s a simple process of adding your email and a password, user profile to go in and look for the information. We feel that this is going to help our association better recognize because we’re providing technical content for training topics on the products that the industry is using and that we sell. How do you view training? How do the tariffs affect the seals industry? “I (wrote) a letter to the commerce department that says, “Hey look, we understand the reasoning for the tariffs and improving our manufacturing capabilities at home, however the tariffs right now are hurting our fluid sealing companies in such that that part of manufacturing hasn’t filtered down to our level and so we’re really kind of being clobbered by the tariffs that are in place, so we’re looking for a little relief for items that are down two or three notches from the real intent of the tariff, so we are looking for a little relief for the products that we sell because there is no alternative currently in the U.S. as far as manufacturing is concerned for certain products.